It’s been a big year in skiing, and I'm not talking about the snow. Those who follow (live, eat, breathe) the ski industry are used to, but perhaps no less surprised by, news from Vail Resorts regarding the latest acquisitions and additions to the Epic Pass—Stowe being the most recent and Whistler the most momentous. Astounded might be a better word to describe the reaction to Aspen’s double whammy of a week in which they proclaimed plans to purchase Intrawest and Mammoth, Monday and Wednesday respectively, under a yet-to-be-named entity formed with KSL Capital Partners. But it’s been on their radar for at least a couple of years according to this almost prophetic Aspen Times article from 2015. Prevailing commentary around the breaking news includes everything from questions of season pass pricing and future inclusions on partner products like the Rocky Mountain Super Pass+ and Mountain Collective to all out arms-race style warfare conjecture between “oligarchs”: Epic Pass vs. a yet to be determined/announced/fully assembled mystery pass. The vibe is excited and disappointed, complete with "Dumb and Dumber" memes to boot (I’m talking about a little place called… Mammoth). It’s amusing, fodder-full and got us wondering about the major, still unaffiliated, world-class destination resorts left standing stateside that could wind up next in the acquisition crosshairs—be they Vail's, KSL's or another ambitious player. The week's not over, and at this rate, we're all on the edge of our seats to see what awaits our inbox come Friday. In the meantime, here are a few, purely speculative, guesses as to who could be in the next round of holdings headlines along with each ski resort's current ownership and pass status. Acquisition Worthiness: Idaho’s star-studded Aspen equivalent lays claim to being America’s first destination ski resort, in business since its December 21, 1936, opening date. It's lift ticket and passes command premium prices; combine that with a charming town, loads of lodging and killer terrain, and define destination, it does. "Sun Valley is next" came up in more than a few comments sections in response to the Aspen acquisition, which could put sister property Snowbasin in Utah on the table as well. Ownership & Pass Products: The R. Earl Holding family of Sinclair Oil Corp. own Sun Valley Resort privately along with Utah’s Snowbasin Ski Resort and hotels spanning Utah, California, Arizona and Wyoming. In addition to its own Bald and Dollar Mountain pass products, Sun Valley is included on the Mountain Collective pass. 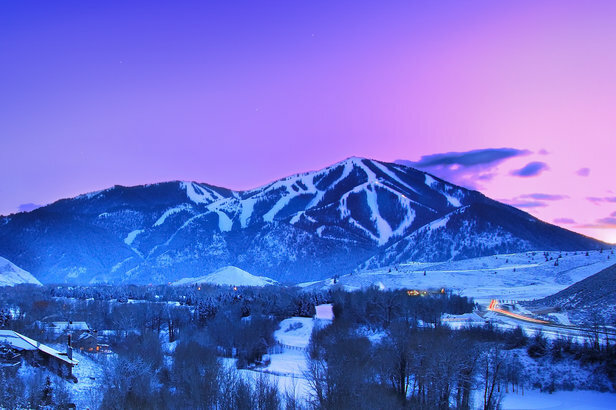 *Since the original publish date, Vail Resorts announced plans to include Sun Valley as an Epic Pass partner along with Snowbasin in Utah starting in the 19/20 ski season. Sun Valley Resort: skiing the trees on a powder day. 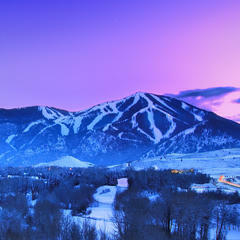 Photo courtesy of Sun Valley Resort. Acquisition Worthiness: Known for luxurious lodging, impeccable grooming, five-star dining as the standard, untouched powder stashes and a refined guest experience that prioritizes exclusivity with a daily lift ticket limit, Deer Valley is a highly attractive potential procurement. Its controversial exclusion of snowboarders may be considered a con, but is perhaps forgivable when factoring that you’re also getting Solitude out of the deal. 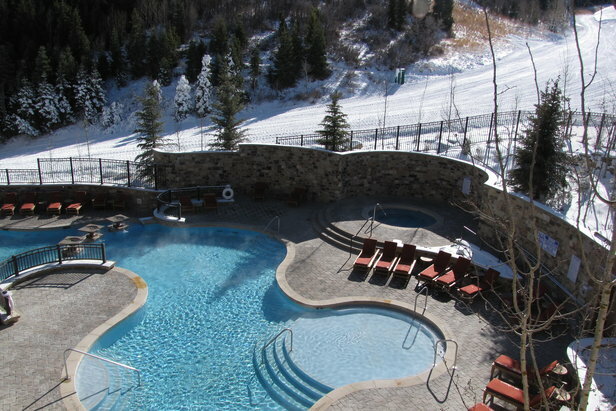 Ownership & Pass Products: Deer Valley Resort Company LP is privately owned by founder, Edgar Stern’s family in partnership with Roger Penske. Season passes are offered in a couple different options, and the full pass gets you reciprocal benefits at Solitude as well as the Wasatch Benefit Pass with days at Alta and Snowbird. *Since the original publish date, Alterra Mountain Company acquired Deer Valley and plans to acquire Solitude. Acquisition Worthiness: You’d be hard pressed to find a steep skiing bucket list that fails to mention Jackson Hole or a resort that rivals its Old West scenic awe, for that matter. Add to that equation a ski in/out Four Seasons, bustling village and nearby access to three incredible National Parks worth visiting in their own right and you’ve got the makings of an acquisition bucket list. Ownership & Pass Products: Jay Kemmerer, chairman of private equity investment company Kemmerer Resources Corp., purchased Jackson Hole Mountain Resort in 1992 for his family with whom he runs the resort and historic CM Ranch in Dubois, WY. 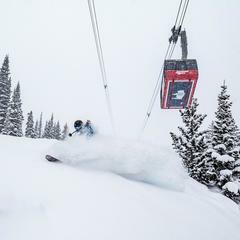 Also part of the Mountain Collective, Jackson Hole’s pass products include a buffet of flavors, from The Grand Pass (135 days), to 10- and 7-day passes with bonus days during certain parts of the season, and a 39-day weekend pass. 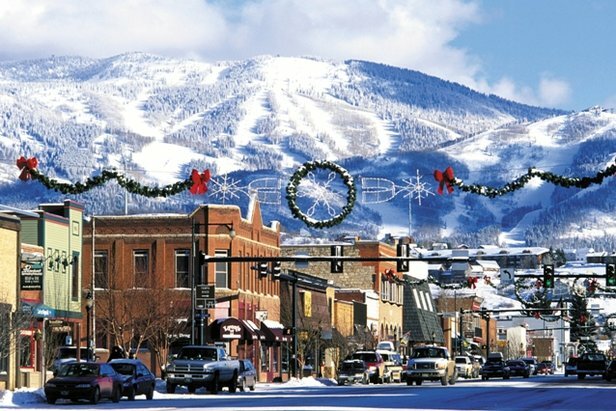 *Since the original publish date, Jackson Hole has joined the Ikon Pass as a partner destination. Matt exploding in Riverton Bowl. Acquisition Worthiness: Condé Nast Traveler doesn’t rank a ski resort #1 for nothing, so the fact that Telluride has landed the top spot four of the last five years should say something. Boasting the biggest vertical in the U.S. (4,425 feet when counting the hike up Palmyra peak for some in-bounds big mountain skiing), this place mixes an incredibly beautiful town and deep local community with an extremely challenging mountain—even the heli-skiing, which is a rare Colorado offering, is said to be less puckering. 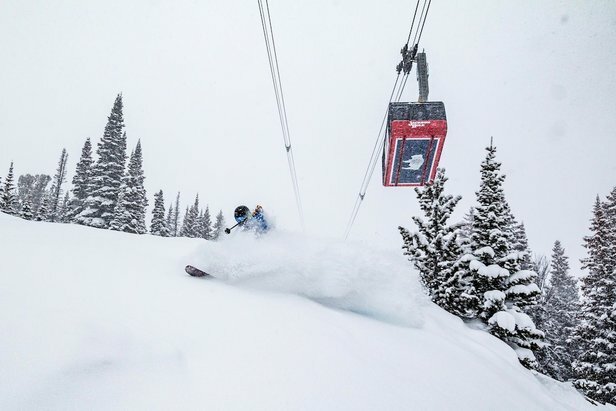 Ownership & Pass Products: Chuck Horning, who comes from a SoCal commercial real estate background, is the majority owner of Telluride Ski and Golf Resort, which offers a couple of season pass options and, you guessed it, access via the Mountain Collective. 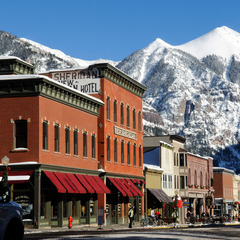 *Since the original publish date, Telluride has joined forces with the Epic Pass as a partner destination. 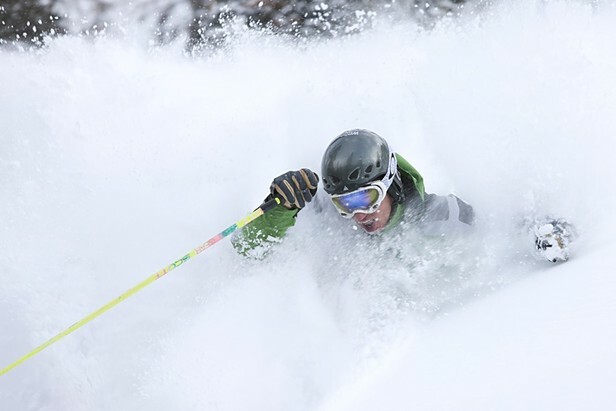 Telluride skier in deep powder. This list is far from all encompassing; ski resorts with equivalent stature and terrain status like Taos and Snowbird also come to mind. 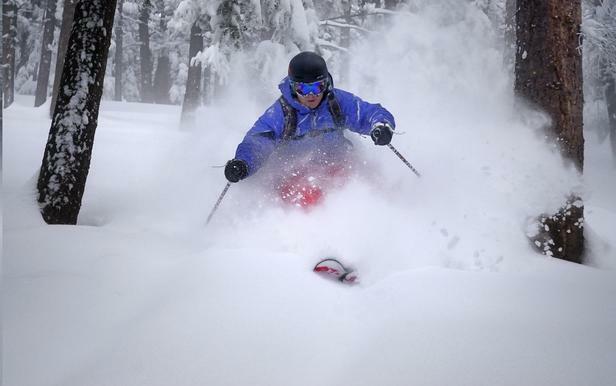 Not to mention operators like Powdr Corporation (with Copper, Eldora and Bachelor in its ranks) and Boyne (Big Sky, Brighton (Utah), Sugarloaf and Sunday River, among others), which could at some point be on the table given this week’s news. 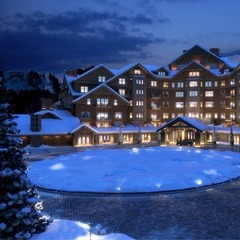 And when it comes to those covetable global gems in the Alps, Banff or Japan, it appears to be only a matter of time. Aspen and private equity firm KSL Capital will acquire Intrawest, including Colorado's Steamboat and Winter Park.